**Sample Photos** Price may increase with final color selection. Estimated Completion April/May 2019! *Price of home will change once color selections have been completed. * Dream Finders Homes Newest Community in the heart of Ponte Vedra! Only minutes from the beach, Seconds to Butler Blvd and in the St Johns County School District! 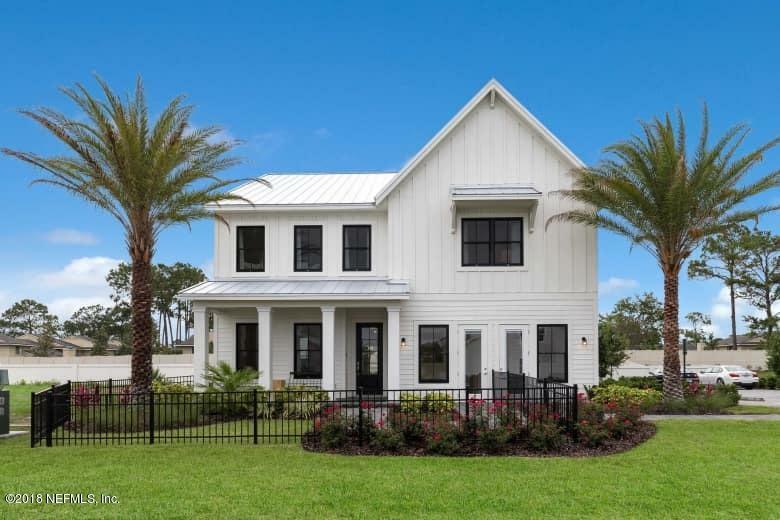 The community offers Coastal Architectural style homes with Lap Siding. This beautiful 2 story Fernandina A floor plan has 5 bedrooms and 4 full baths. The home features a front porch, covered back lanai, open upstairs loft, and gourmet kitchen. It also features tray ceilings in the master bedroom, family room, and loft. Pavers in driveway. Call to make an appointment today!